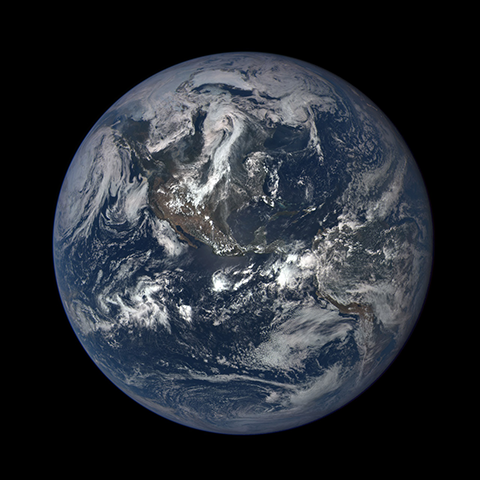 Reprocessed version of the first light image of North and Central America made by the DSCOVR EPIC camera on July 6, 2015. 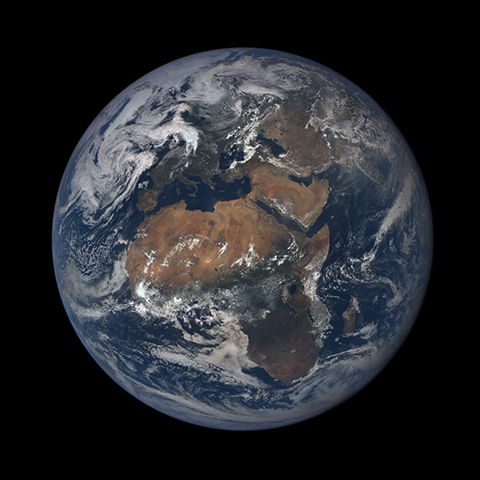 Clouds cover most of the hemisphere. The central turquoise areas are shallow seas around the Caribbean islands. 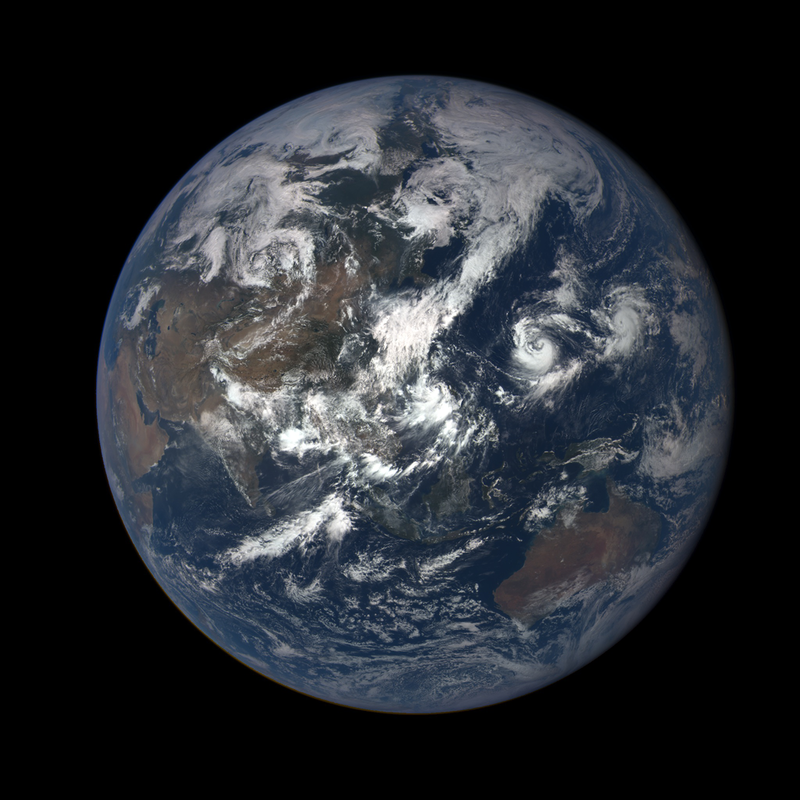 The brighter circular area in the image’s center is caused by sun light reflected from the ocean surface (sun glint). Click on any of the images above to see full-sized versions.